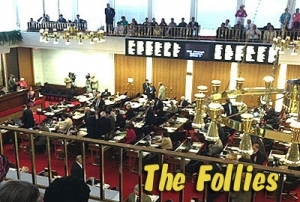 The follies of the North Carolina General Assembly and its shortsighted attitudes toward public education (and public service in general) are neatly illustrated by two stories in this morning’s Winston-Salem Journal. “So for someone such as Morrison, who is teaching reading to elementary school kids on a part-time basis, or a certified teacher who is filling a temporary classroom position, that means they’re technically no longer considered teachers. Instead, they’re lumped into a more disposable employment category. They’re now considered ‘at-will employees,’ those ‘not entitled to the employment protections provided a career employee or probationary teacher,’ according to House Bill 719. “Darrell Walker, assistant superintendent of operations for the local school district, told the Journal that the district was mainly using the DOT crew to chip seal student parking lots. The average price from the DOT has been about $5.25 per square yard, he said, and he estimates that the private-sector move will cost the district about $12 per square yard. ‘This may force us to really push some projects back that we had planned on doing earlier,’ he said. In short, these are the kind of practical, day-to-day examples of what you get when your state leadership elevates right-wing theory and ideology over common sense and a commitment to public structures the common good. 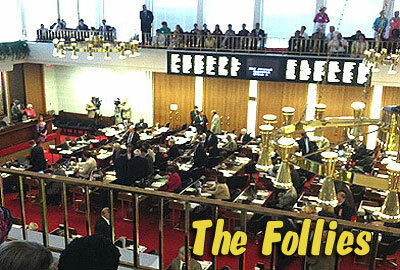 Sadly, such examples are becoming the norm, rather than the exception in the North Carolina under construction by Art Pope and his hirelings in state government. This is yet another example of state government making a decision on “what is best” for certain school districts. I feel certain that Mr. Walker knows what is best for his LEA and should be trusted to make the right fiscal decisions for his school district. If local administrators can’t be trusted to do this, why sustain the position. Maybe we can create another position at DPI?